Chamfering Cutters are mainly used for Chamfering of Gears by Automobile Industry. These Cutters can chamfer both the flanks of the gear at a time. Same set of chamfering cutters can be used for similar gears having different face widths. 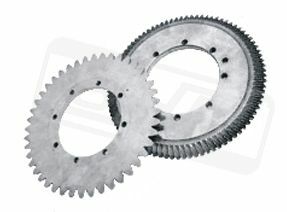 The variation in the width of the gears is adjusted with the help of suitable spacers.